Hi! It's kind of hard to look at these outfits right now, because they're from April and it was obviously much cooler then than it is now. My Style Me May challenges took over, so I'm just now sharing them. But here they are! I really like how this outfit came together. I wore my white ankle length pants with gold flats. I thought putting my navy suit jacket with my blue gingham shirt would be a fun combination. It was very preppy. 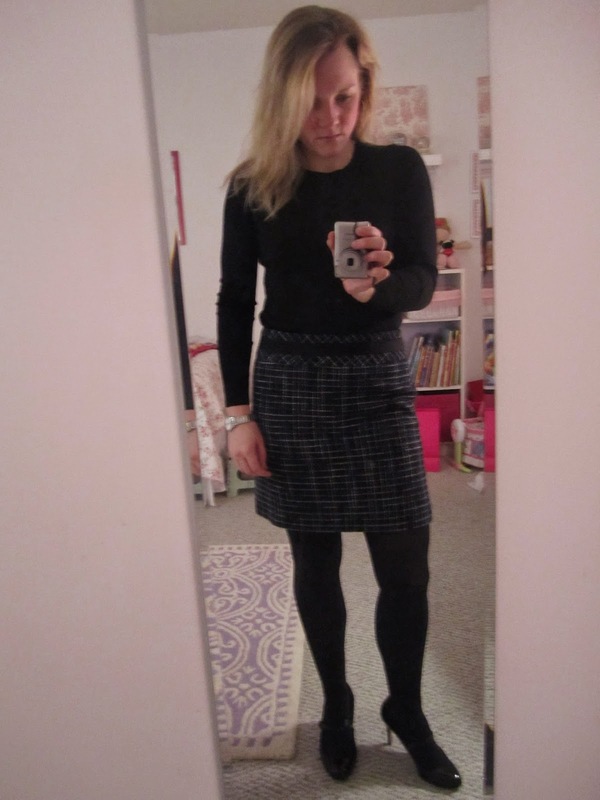 This is an easy outfit that I wear a few times each Winter: my black fitted crewneck sweater, black/navy plaid mini skirt, black tights and now my black patent mary jane heels. The skirt is on the shorter side, so an opaque black leg is necessary. This is my "ooh! shiny!" outfit. 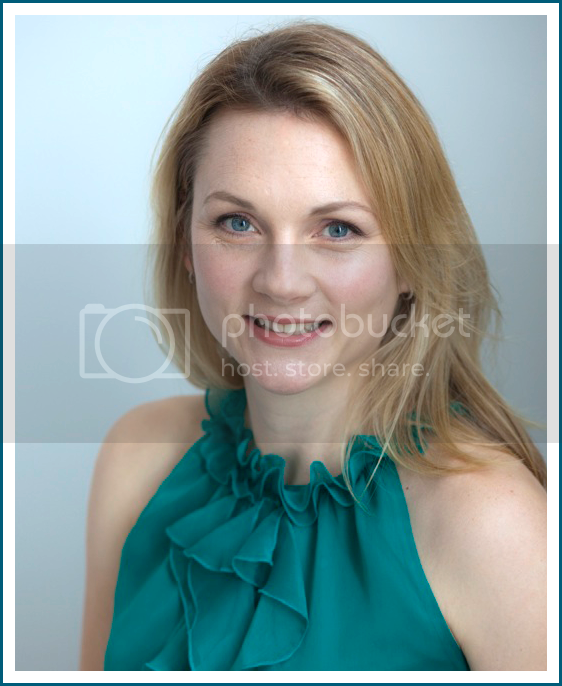 I love this silk blouse, which is from Ann Taylor last year. I wore it with my black pants and my cream silk tie belt. Now that I've cleaned my camera out all my older outfits, it will be all Summer-all the time. Oddly enough, I am really excited for the warm (even hot!) weather this year. The winter and snow and ice of our past Winter did me in. Bring on the heat. Bring on the humidity. Bring on the delicious cold beer. I like the dress you wear in the second picture. Whatever you wear is flattering to you.